USD – Installing Sample Applications. 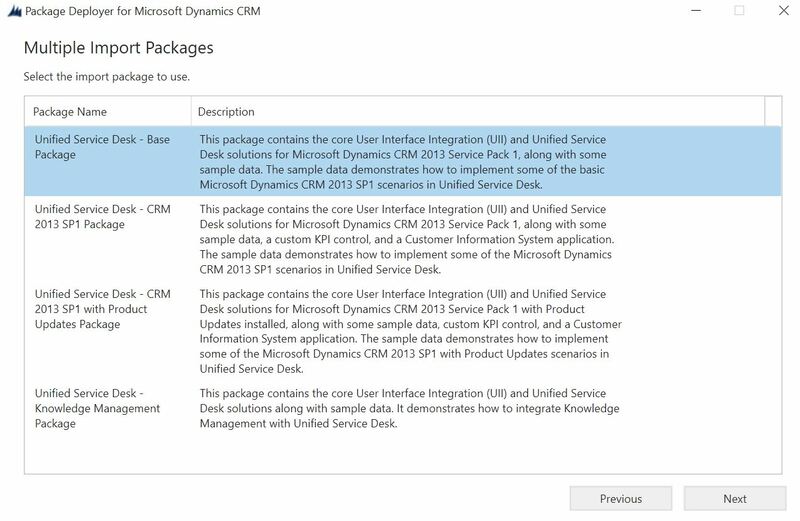 Microsoft provides a package deployment tool for USD that allows you to install and configure one of several sample USD applications. This can be downloaded from Microsoft download centre. The sample applications are useful to help you get up and running with USD quickly and may also be a useful reference point. However I would advise that you create a new test organisation to allow testing, as later removal could be difficult. 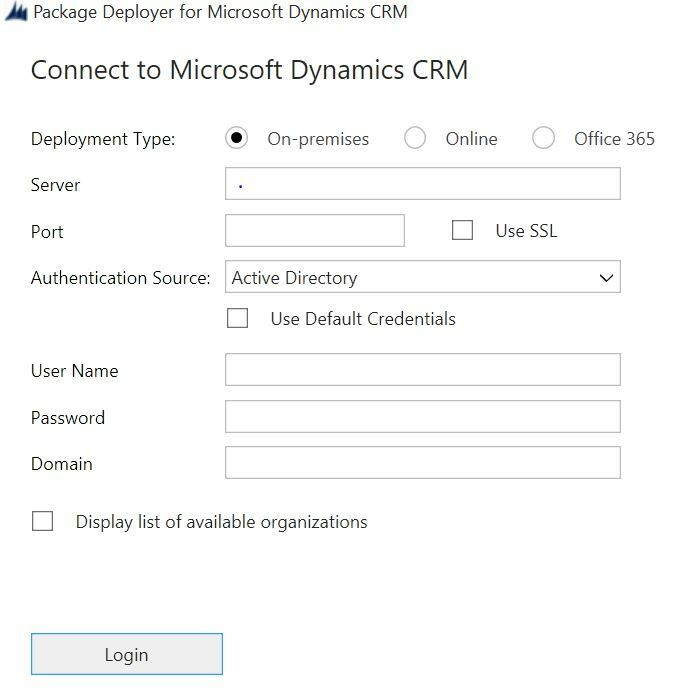 The PackageDeployer tool automatically installs solution components in your CRM system to run Unified Service Desk such as entities and security roles. Two security roles are provided – one of which allows USD administrators to configure USD while the other is necessary for service agents to run the USD desktop client. Note: no privileges are automatically given to core CRM entities such as Account, Contact, Lead etc. Having downloaded the PackageDeployer, run the executable and accept the license agreement. You’ll then be asked for a location to extract the install files to. The installation will then automatically start. After a short pause, you’ll be asked to connect to your CRM server. And if required display a list of organisations to select from. Once the connection has been made you will be presented with a list of possible packages to deploy. I suggest you try the base package for your first attempt! Whilst this process is relatively easy and gets you up and running quickly it does have some limitations! As you will probably, eventually, need a vanilla install to build your own customizations from scratch. I will describe that process in a separate post.